Please collect your T-shirt, race number and other goodies at Race Pack Collection at Moses Mabida Stadium, from Thursday, 16 May to Saturday, 18 May 2019. Walk to your own beat! Your T-shirt comes with a canvas for you to personalize it and insert the title of your favourite track. Discovery Vitality members will earn fitness points for completing their selected event. Points will be automatically uploaded and will take up to four days to reflect on the Vitality Points Monitor. Durban Metro Police will close several roads. Make sure you note these so that your commute to the event is smooth and hassle-free. You will need to plan your drive to avoid these roads. Parking facilities are available at both the start and finish. Buses will rotate between People’s Park and uShaka Marine World from 05:30 until 12:30. You can catch a bus from the finish area to the start area before or after your walk. Refreshment stations will be on the route for all distances. Look at the route maps to see where each refreshment stand will be. No personal seconding will be allowed. Walkers enjoy 5km of majestic scenery on the Durban promenade, proceeding north on Snell Parade, turning left into Athlone Drive. They turn immediately right onto Ruth First Highway contra-flow to cross the Umgeni River. We veer right up the first on-ramp, turn left and take an immediate right to continue on Waterkant Road. Are you ready to add some soul to your beat? Then grab a pair of used shoes and join us at the 2019 Discovery East Coast Radio Big Walk. What does joy look like? 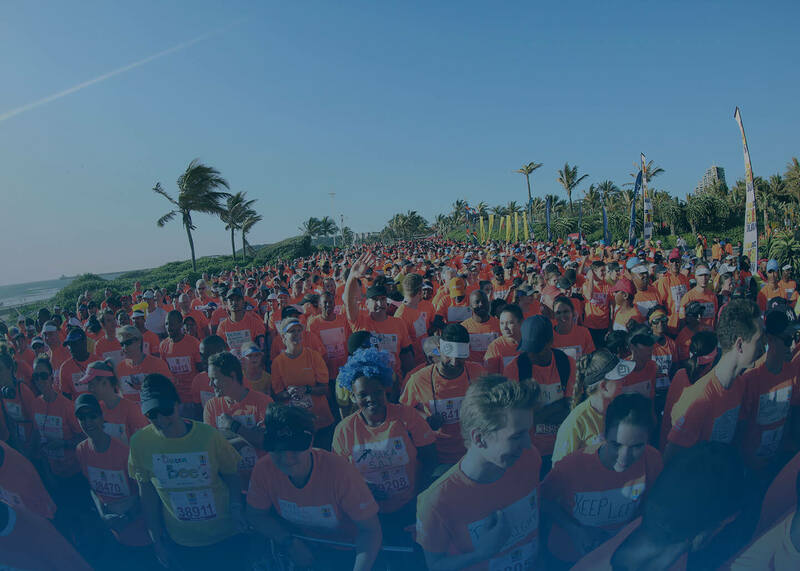 Is it enjoying the sunshine in the beautiful Durban outdoors, or walking together with family and friends, or perhaps that feeling of accomplishment when crossing the finish line? aQuellé will be making your Big Walk moments brighter with our refreshing new packaging! Enjoy the same original taste of joy in a bright new look. Natural or flavoured, still or sparkling, aQuellé is filled with joy. Smith and Nephew is committed to improving patient’s quality of life. And they look forward to seeing you at the Discovery East Coast Radio Big Walk in support of a more active healthy lifestyle. Tiger Wheel & Tyre is South Africa’s most trusted retail wheel and tyre brand. Store showrooms are fully stocked with top tier wheel and tyre brands, automotive batteries and other accessories, and manned by friendly sales staff who help customers find what they need.